You’re familiar with the scenario. Didn’t you just change your password? You already have a hard time remembering which password to enter each day because you’re already keeping track of so many. 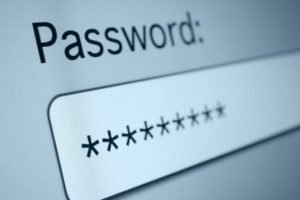 Coming up with yet another password feels impossible. Must be between four and 22 characters, include one capital letter, at least two numbers, no more than three symbols, but not the exclamation point, your firstborn child, and the blood of a dragon. But sarcasm aside, passwords are also incredibly vital to your online security. What makes it even more difficult is that your passwords should all be different. Think about the number of online accounts you use that require passwords, both personally and professionally. Social media accounts, email accounts, online banking, you name it. Do not use your same company LAN/network password as passwords for any online accounts or for any other business application. If a hacker can crack your password for one account, and it’s the same password for several or all of your accounts, chances are you’re going to find yourself in a load of internet security trouble. Password length is key – Each character you add to a password or passphrase makes it an order of magnitude harder to attack via brute-force methods. Ensure your password is a minimum of 8 characters or longer. Create unique passwords that that use a combination of words, numbers, symbols, and both upper- and lower-case letters. Do not choose passwords based upon details that may not be as confidential as you’d expect, such as your birth date, your Social Security or phone number, or names of family members. Some of the easiest-to-remember passwords aren’t words at all but collections of words that form a phrase or sentence, perhaps the opening sentence to your favorite novel, or the opening line to a good joke. Every few months, you should change all of your passwords—everywhere. Even if you made a password that would take a few centuries to hack. To create a strong password, you should use a string of text that mixes numbers, letters that are both lowercase and uppercase, and special characters. So how do you make such a password? Have you got that? Now go forth and change your passwords!